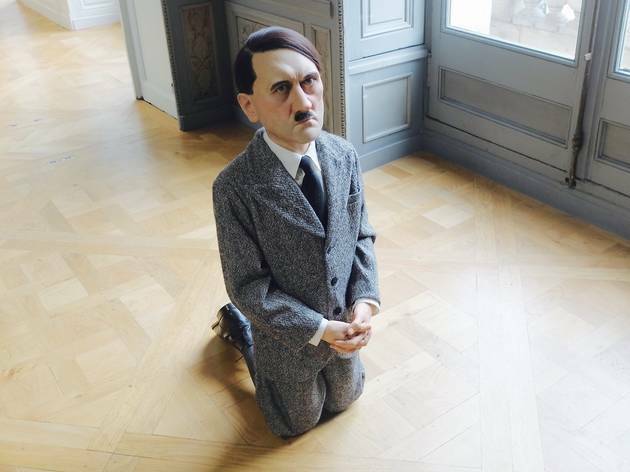 A retrospective exhibition from the subversive and hyperrealist Italian sculptor. 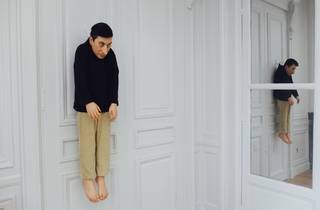 We thought he’d withdrawn from the international art scene after his phenomenal 2012 exhibition at New York’s Guggenheim Museum. 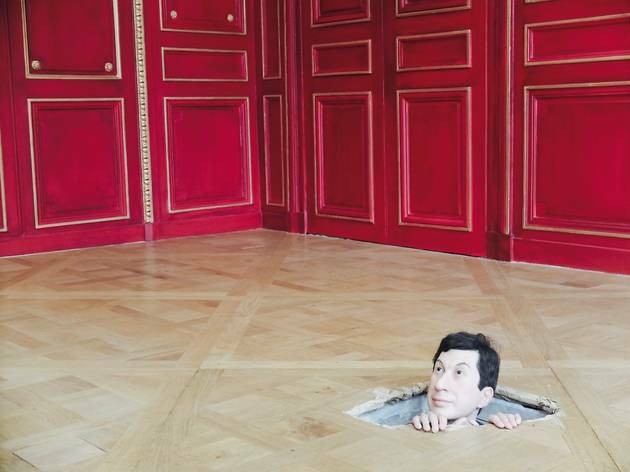 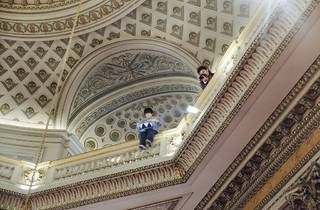 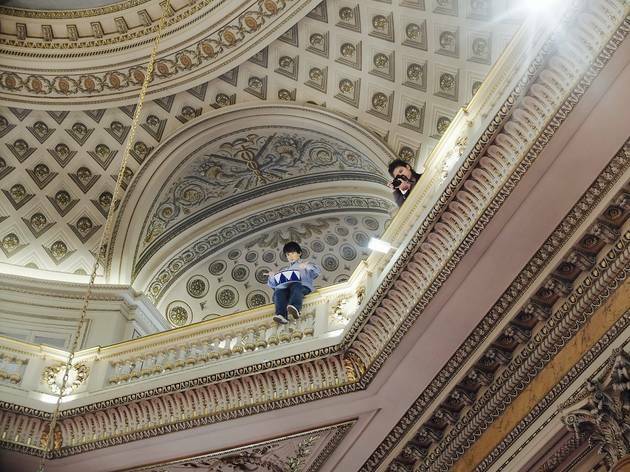 Not so, Maurizio Cattelan is back with eighteen striking works, selected and arranged by the man himself and exhibited throughout the Monnaie de Paris’s luxurious 18th century rooms. 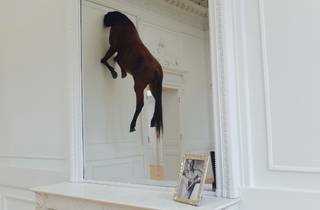 First, a horse suspended from a dome above – stuffed, immobile, dead, and yet so real: a kind of morbid omen hanging overhead. 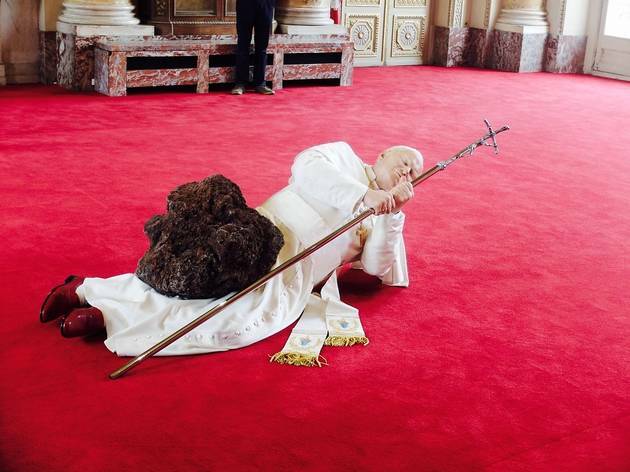 The sight of a woman stops us in our tracks, lying on her front, crucified in a wooden box on the wall. 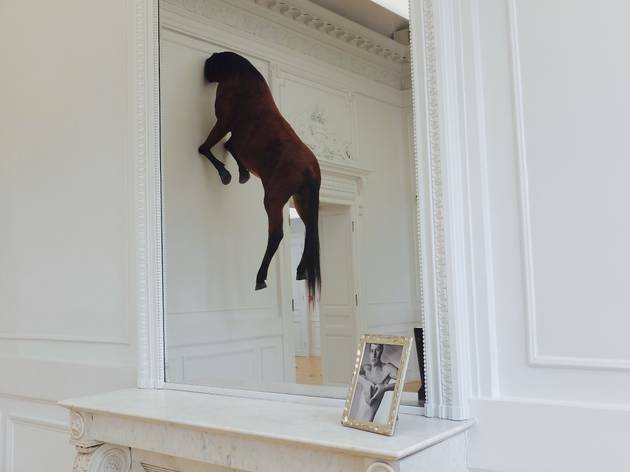 Tough subjects, striking visuals: this is definitely Cattelan’s style. 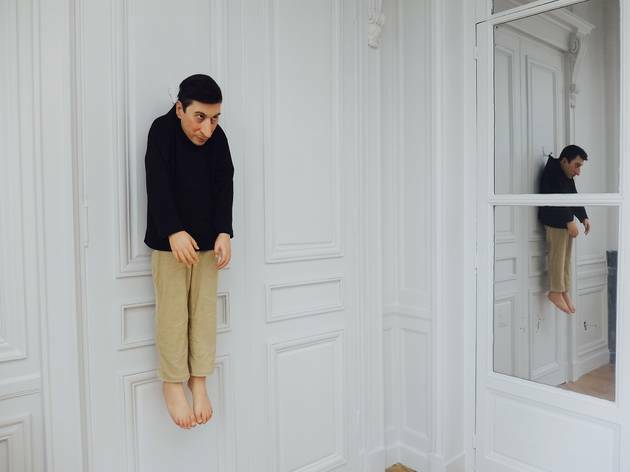 The sculptor’s works rouse a powerful paradox: the unsettling realism of his creations faced with the omnipresent idea of death, demonstrated either symbolically or in the immobility of his resin statues. 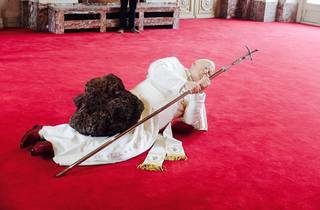 Audacity and disrespect pervade the exhibition, whether in Cattelan’s cult work – Pope Jean-Paul II, flattened by a meteorite on a red carpet, defeated, deconsecrated – or through his self-portraits, his head appearing to pierce through the Monnaie de Paris’s parquet floor. 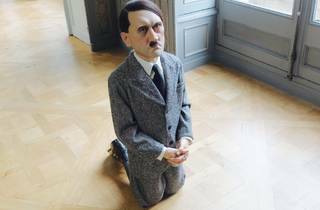 The retrospective concludes logically with ‘Him’, the remarkable figure of a child-like Hitler, prostrate, begging before us on his knees. 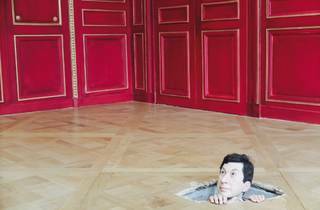 Cattelan seems to be interrogating us while also contemplating himself, leaving his unmistakable mark on this powerful, symbolic retrospective.